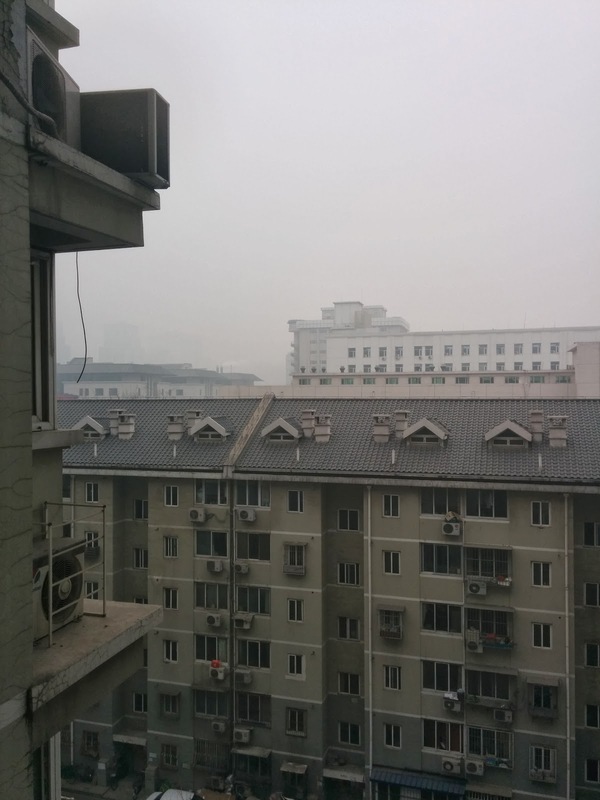 This is a window on to the life in Beijing when the AQI (air quality index) for PM 2.5, the particulate matter that is quite dangerous and linked to lung cancer, is at roughly 500 and 50, respectively. Particles in this category are less than two and half microns in diameter. The first picture was taken yesterday morning and the second, this afternoon from my home office window. It was a late evening rain storm of minor proportions (a shower) that cleared the air and a switch in the prevailing winds. Somebody asked me what could be done and I, tongue firmly planted in cheek, said that the easiest way to avoid the inversions would be to fully mine the mountains until they are flat. Looking out the train window at China's mountains, they are well on their way to creating a moonscape within a generation in several parts of this gorgeous country. Let's hope that the leaders here act before we get suffocated by another week of this "weather." While geography is king and much of the pollution we get comes from elsewhere on the "tradewinds" and then gets stuck here because of surrounding mountains, there are things that can and must be done. 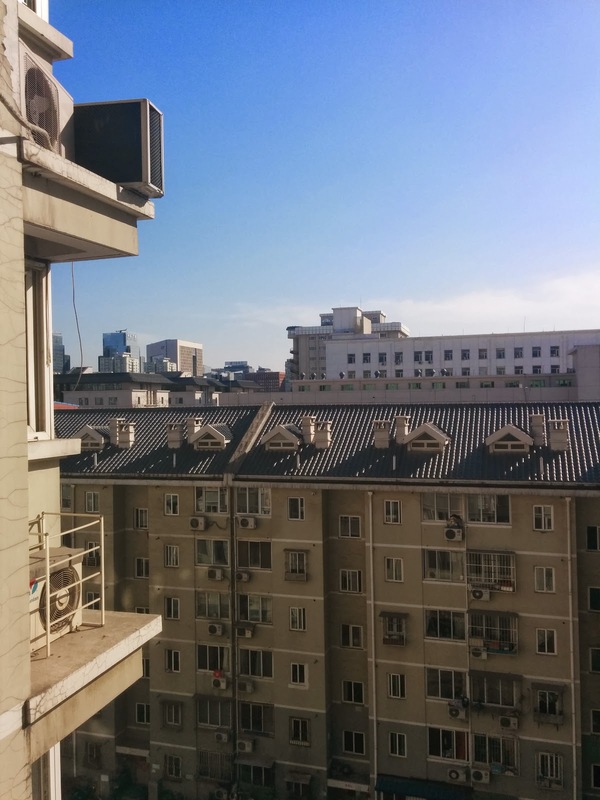 The mood in Beijing today is ecstatic. One woman said to me that this is the first time that she has been made happy merely by blue sky. That is a sad commentary on how she has not heretofore derived pleasure from the quotidian; however, it is also indicative of a prevailing giddiness here at seeing the sun (unclothed) for the first time several days.